A major expansion at Enzian was scuttled due to parking issues, But that disappointment won’t prevent the Florida Film Festival, an Oscar-qualifying, 180-film extravaganza, from having another stellar year. Don’t get me wrong: Spring is great. I assume people who live in other latitudes are still writing poems about it. So it’s not spring, it’s me. Once I moved to Florida, things between us went south. It was, after all, a love-hate relationship: The more I hated winter, the more I fantasized about spring. Now we have a healthier arrangement. I don’t long for the season, I look forward to it, and not out of desperation but because of four sensible circles on my calendar. 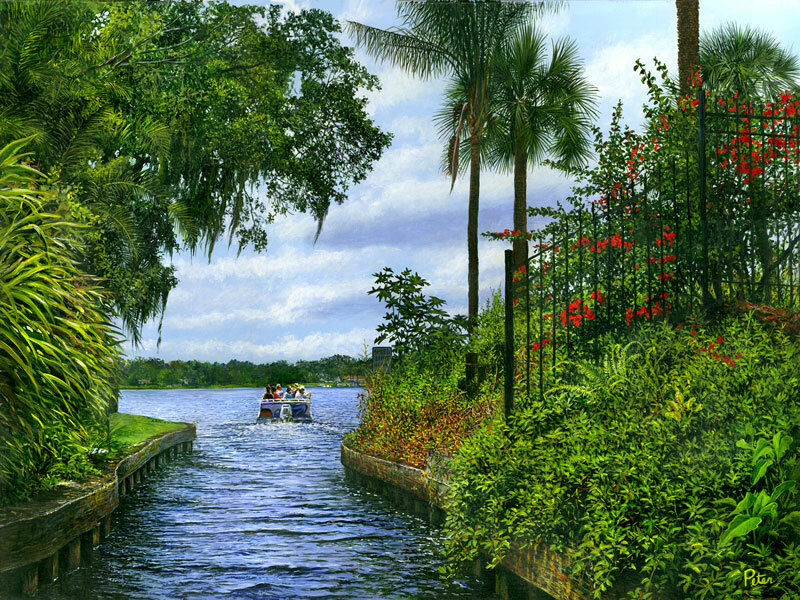 Spring brings the Winter Park Sidewalk Art Festival, the Orlando International Fringe Theater Festival, the Orlando Museum of Art’s Florida Prize in Contemporary Art exhibition and, my personal favorite, the Florida Film Festival. The art festival, which finished up last month, turns Park Avenue into a curated, open-air celebration of what can happen when paint, clay, fiber, glass, wood, metal, digital wizardry and various other mediums meet up with the imagination of artists from all over the country. The Fringe, a two week-long throwback to traveling-minstrel days, brings dozens of solitary performers and small theatrical troupes from Central Florida and around the world to Loch Haven Park and several nearby venues. This year’s edition of the wildest and wooliest event on the cultural calendar is May 14-27. The newcomer on my list, in its sixth year, is OMA’s Florida Prize (May 31-August 18), which takes advantage of the impressive array of great contemporary artists in this state. It provides a cash prize and a much-needed showcase for their creations as well as an aesthetic booster-shot for a once-stodgy museum. But I’m a sucker, most of all, for the Florida Film Festival, an Oscar-qualifying 10-day, 180-film extravaganza headquartered at the charming Enzian Theater, an iconic Central Florida institution at 1300 Orlando Avenue. 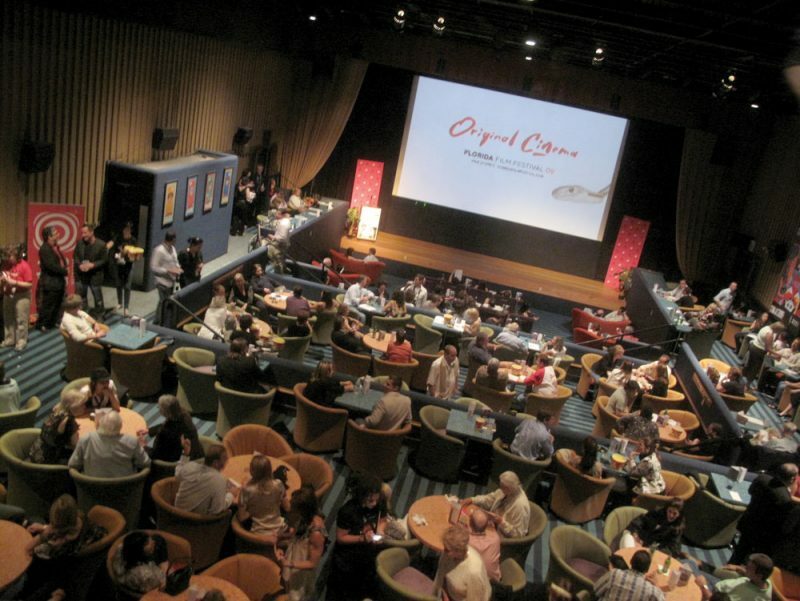 It has been a tough year for the cabaret-style art-cinema house and outdoor bar. Hidden away on a leafy enclave just beneath the southwest shore of Lake Maitland, it’s the next best thing to a living room filled with intelligent friends and a wide-screen TV tuned to a station worth watching. The nonprofit theater’s owners had hoped for years to expand the venue from one screen to three to bring in more films and film-buff events. But the plan had to be scrapped, not for lack of enthusiasm and funding, but because of a strategic issue involving parking. Discouraging? Of course. But something tells me that the 28th annual festival, slated April 12-21, will represent a memorable rebound for Enzian and its legions of fans. The film schedule and celebrity guests hadn’t been announced at press time, but presumably by now you are suitably wowed. I’ve always wondered why no one has ever made a film about how the place came to be. It would make a great entry in the festival’s documentary category. 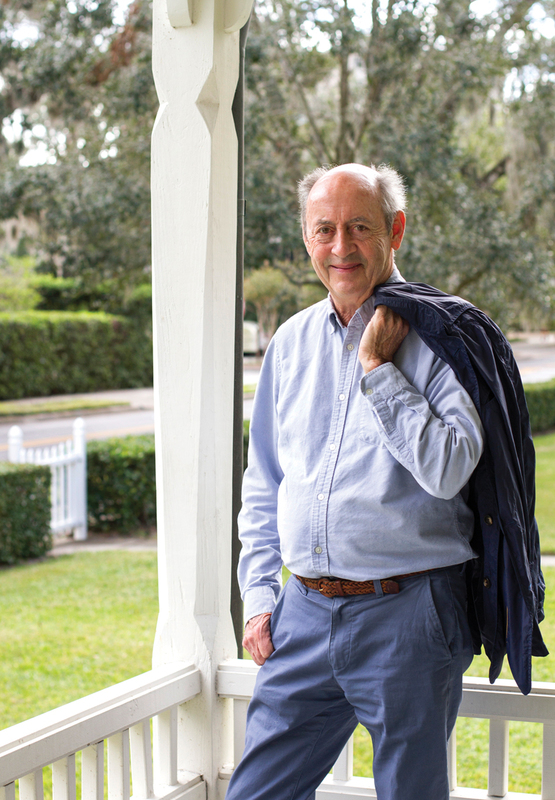 Enzian owes its existence to the Tiedtke family, whose scion, the late John Tiedtke, held numerous posts at Rollins College as a teacher, administrator and trustee. He was also a patron of virtually every arts organization in Central Florida, and best friends with another powerhouse arts cultivator and colleague, Hugh McKean, president of the college and co-founder, with his wife Jeannette Genius McKean, of the Charles Hosmer Morse Museum of American Art. Tiedtke’s wife was straight out of a fairy tale. Her name was Sylvia Southard, and she was the stepdaughter of an Austrian Prince, Alfred Hohenlohe. She grew up shuttling back and forth between Vienna and the family’s castle, Schloss Friedstein, high in the Austrian Alps. Dresden. Sylvia’s train arrived in the city just as the infamous Allied carpet bombing of the city began. Tens of thousands died. Sylvia was buried beneath wreckage but miraculously survived. She met her future husband after the war, while visiting relatives in Winter Park. The couple married in 1948 and had two children, Philip and Tina, who enjoyed childhood visits to the castle that was part of their mother’s inheritance. In 1985, when Tina took up the cause of creating an alternative movie house for Orlando, her father gave her the seed money for it. But her mother’s heritage is celebrated everywhere you look. A fountain near the entrance is a reproduction of one that’s in the courtyard at Schloss Friedstein. The Eden Bar, next to the lobby, is named after an exclusive nightspot in Vienna. And the theater itself is named after an Alpine flower. It’s a beautiful bloom, though not as widely known as its cousin, edelweiss. It’s also something of a rarity — just like my favorite movie theater. 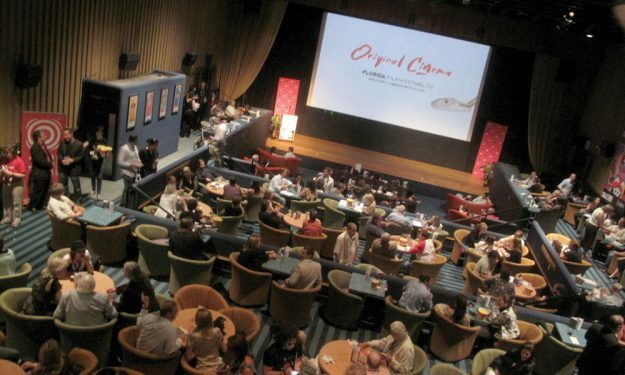 For more information about the Florida Film Festival, visit floridafilmfestival.com. 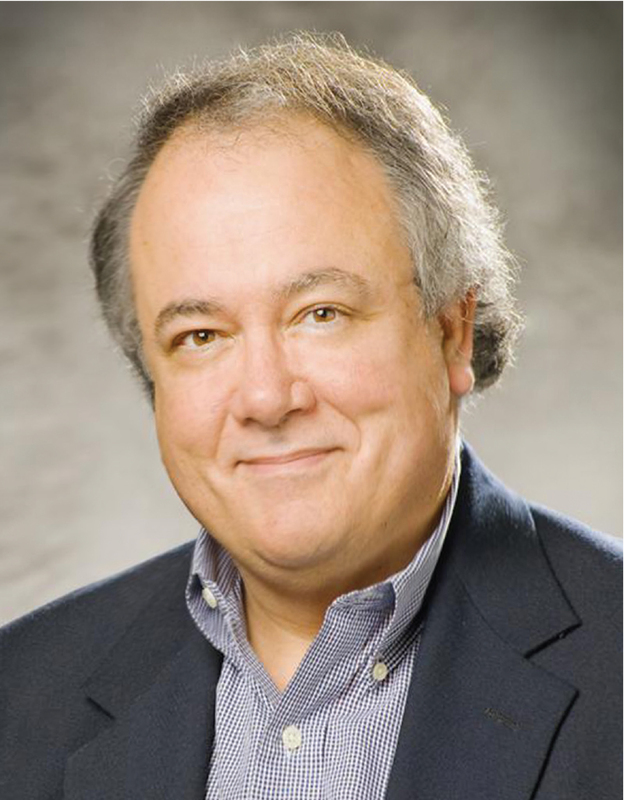 Michael McLeod (mmcleod@floridamedia.com) is an adjunct instructor in the English department at Rollins College. 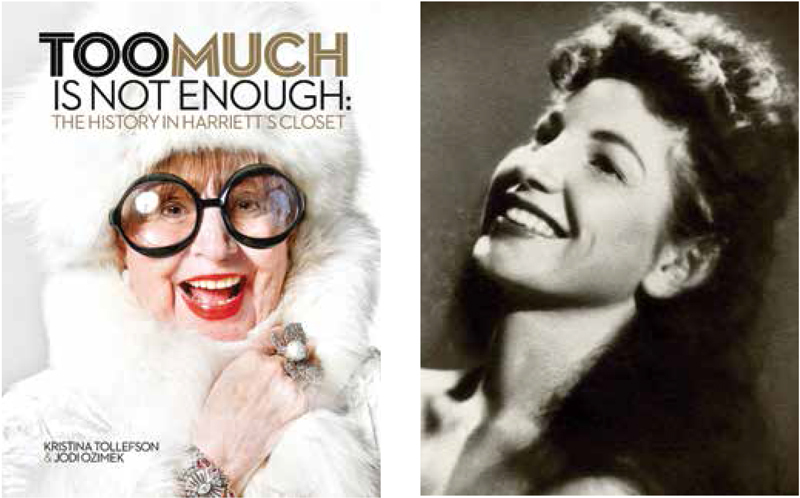 A lifelong fashionista and a legendary philanthropist, Harriett Lake died at age 96, just a few weeks before the Florida Historical Society published Kristina Tollefson and Jodi Ozimek’s lively account of a life well lived. Eleven years ago, Kristina Tollefson set out to investigate an urban legend. Nothing like, say, a Yeti being sighted in Mead Botanical Garden. Tollefson’s specialty is costuming, not creepiness, and she was intrigued by stories she’d heard of a wealthy fashionista in her 80s who had hoarded every article of clothing she’d ever owned — all of it stashed away in a fabled, oversized closet in her Longwood mansion. Tollefson is an associate professor and resident costume and makeup designer at the University of Central Florida’s School of Performing Arts. The fashionista was Harriett Lake, a flamboyant matriarch beloved for her brassy, larger-than life personality, renowned for her generosity to charities, and envied for both her gaudy, extensive wardrobe and her oversized closet — make that “closets” — including one so jampacked that it was equipped with a dry-cleaner conveyor-belt system. What Tollefson had in mind was the chance to meet Lake and study her collection for costuming ideas. What happened instead was that she became a regular visitor to the fabled closets — and a friend, biographer and ad hoc wardrobe assistant to their proprietor. 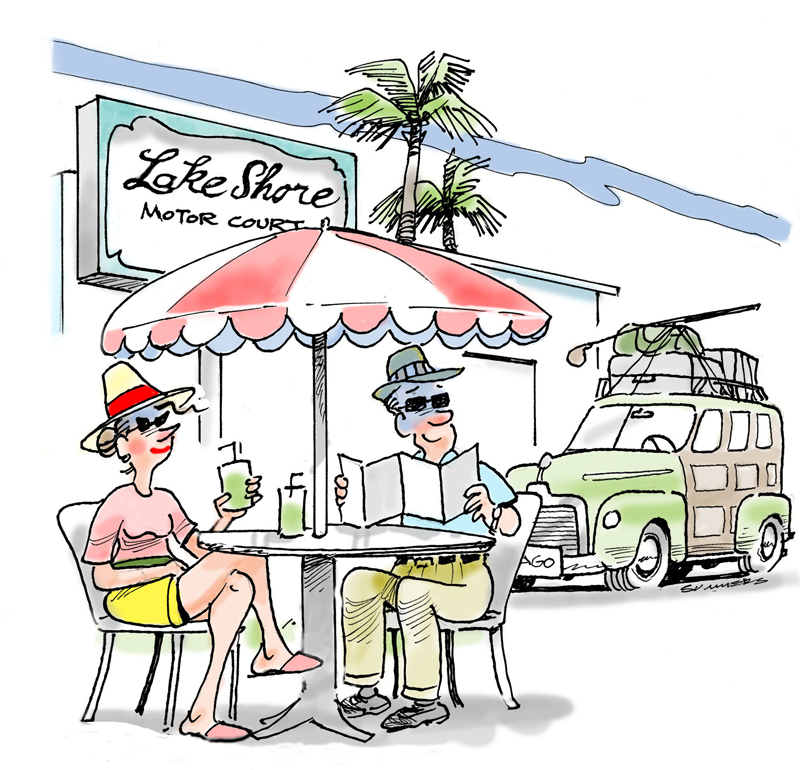 And so it went until June, when Lake died at the age of 96, just a few weeks before the Florida Historical Society published Too Much Is Not Enough: The History in Harriett’s Closet. It’s a lavishly illustrated, 550-page tribute by Tollefson and co-author Jodi Ozimek that encompasses both the evolution of Lake’s sense of style and the roots of her passion for humanitarian causes, which she shared with her husband, Orlando developer and entrepreneur Hymen Lake, who died in 2010. No, Lake did not hoard every stitch of clothing she ever owned. She did, however, have more than 5,000 hanging items, 1,600 hats and 450 pairs of shoes — nearly all of which she donated to be sold off for charities before she died. No, although he did wear an inexpensive Kmart-purchased watch instead of a bejeweled Rolex, as his wife would have preferred, Hymen Lake wasn’t a cheapskate, as many had whispered. When it came to social causes, his spirit of generosity paralleled hers. He had grown up in poverty. Many of his neighbors in the Chicago tenement where his family lived were black. After building the residential development in south Orlando that would make him a fortune in the ’60s, he became one of the first to sell a home to an African-American family at a time when few of his cohorts had the moral courage to risk “white flight” from their subdivisions. No, Harriett wasn’t just a showoff. Quite the contrary, she was afraid of attracting too much attention. That’s why so many things she funded — playgrounds, boutiques for woman recovering from breast surgery, the new home for the Orlando Ballet, the lavish ladies’ bathroom at the Dr. Phillips Center for the Performing Arts — are simply known by her first name, at her request. No, she did not track down Coco Chanel and cut backroom deals for first dibs on prime ensembles (I’d heard that rumor myself). She did, however, once approach a total stranger who was carrying an Anne-Marie Champagne Bucket handbag and offer to buy it from her on the spot. Its owner declined — at first. “I’ll give you a thousand dollars for it,” said Lake. 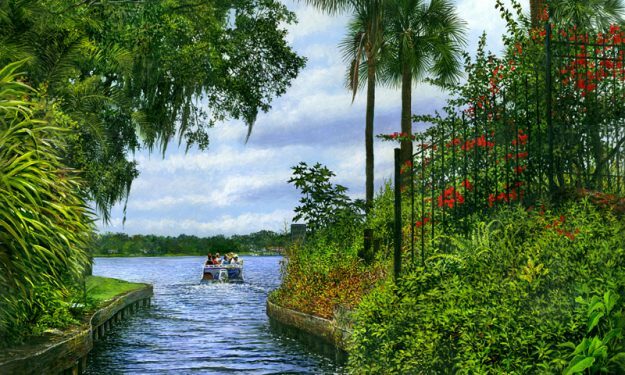 From his home base in Winter Park, Philip B. Crosby impacted businesses all over the world. 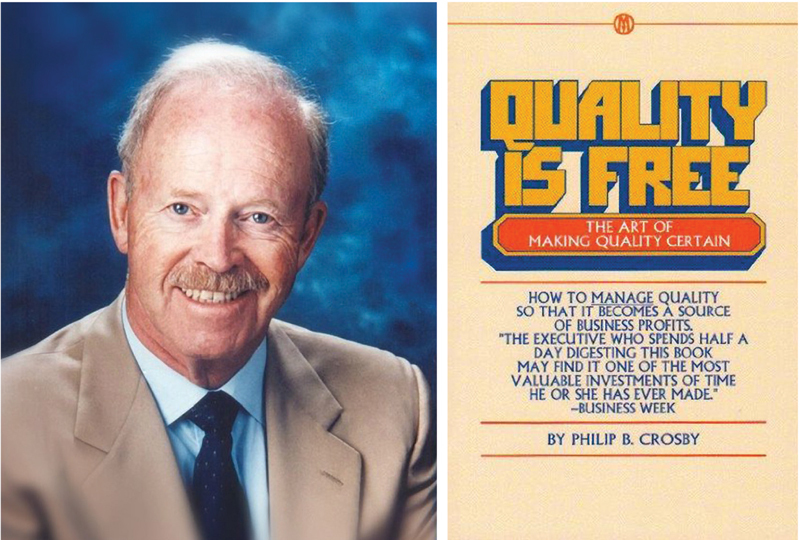 Each week, hundreds of corporate bigwigs traveled here to learn about his approach to quality improvement, which he described in 1979’s Quality is Free. When Winter Park Publishing Company LLC moved its offices last year, we found ourselves occupying a building in which I had worked 35 years before — for perhaps the most interesting and impactful small business that ever hung out a shingle in this town. If memory serves, although the interior of 201 West Canton Avenue has been reconfigured, I’m now sitting in the former office of my erstwhile boss — a man whom I count as a personal hero, and whose philosophy has for decades guided how I approach work. The business was Philip Crosby Associates (PCA). In the company’s heyday, when major American manufacturers were fighting to overcome the perception — the reality, in fact — that their products were inferior to those made overseas, it was Crosby, an internationally known business philosopher, whose guidance was sought by beleaguered executives. 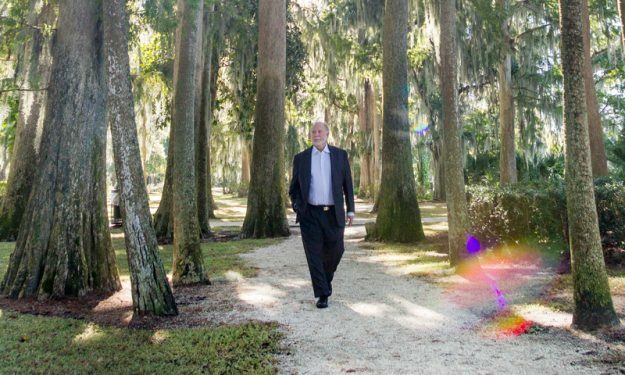 Each week, hundreds of corporate bigwigs from around the country — and around the world — traveled to Winter Park to attend Crosby’s “Quality College” for five days of lectures from and discussions with the man who had written the 1979 business bestseller Quality is Free and had invented the concept of “zero defects” in manufacturing. Crosby was entertaining and inspirational — although he despised comparisons to motivational speakers. One trade publication described him as “the fun uncle of the quality revolution,” which was a clever if incomplete descriptor. This fun uncle had been worldwide vice president for quality at ITT. This was important stuff for American industry. But it was also important for Winter Park. First, it showcased the city to countless influencers, many of whom undoubtedly returned for more leisurely visits with their families. Every day, Quality College attendees lunched en masse at Park Avenue restaurants. Rooms at the Mount Vernon Inn were booked solid for months in advance. Crosby — who looked like Teddy Roosevelt in a power suit — lavished patronage on hundreds of local vendors, all of whom were proud to be selected by a company synonymous with the best of everything. Of course, the word “quality” meant something different to Crosby than it did to most of us. To him, quality meant simply conformance to requirements — whatever those requirements might be. A Chevette that met all the requirements of a Chevette was every bit as much a quality car as a Cadillac that met all the requirements of a Cadillac. Further, he preached, it was always cheaper to “do it right the first time” than to assume, as most American companies did, that errors would invariably occur. The expense of implementing a zero-defects policy would always be recouped, he contended, by eliminating waste and do-overs. PCA eventually came to employ some 300 people, all of them well paid and even pampered. Top executives drove company Cadillacs (General Motors was a major client) and everyone from the custodian to the COO believed that they were performing both a job and a patriotic service. But, when I joined, PCA hadn’t yet reached those heights. I had written a story about Crosby for a local newspaper, and he seemed impressed that I appeared to understand his message. Would I be interested in coming to work for him and starting a company newspaper? PCA had a remarkable run, surviving economic downturns and flavor-of-the-month management trends. But it couldn’t survive Alexander Proudfoot PLC, a U.K.-based consultancy that bought the company in 1989 and ran it into the ground. Crosby rescued the company’s remnants in 1997. But he died at age 75 in 2001, before he could complete his reclamation project. There’s still a Philip Crosby Associates in Boston, but the latest iteration seemingly has no website and several calls succeeded only in reaching an automated voicemail service. I like to think Phil would enjoy Winter Park Magazine. I expect he would appreciate the fact we strive (not always successfully) to eliminate defects and do it right the first time. 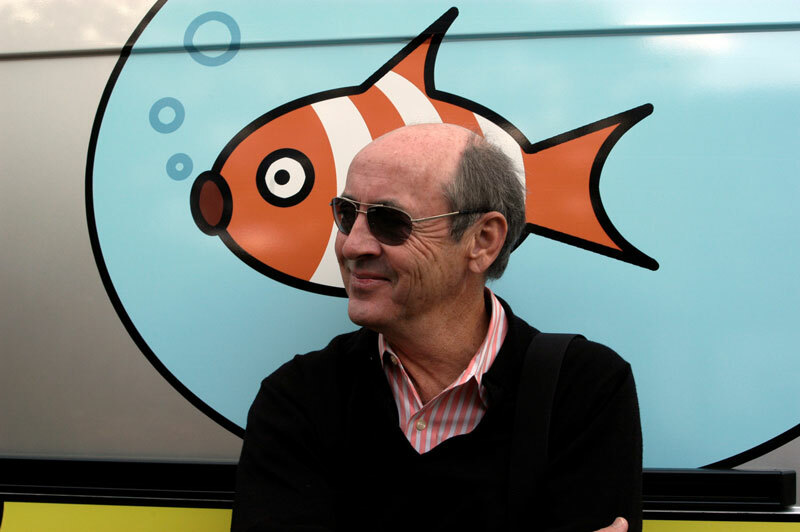 Philip Deaver was a selfless champion of great writing, and wholeheartedly celebrated his students’ successes. Frontotemporal dementia robbed him of his unique voice and, ultimately, his life. Philip Deaver came from a small town. When he left, he took it with him, as good writers often do. He grew up in the 1950s and ’60s in Tuscola, Illinois, population 3,000. His mother had been a Navy nurse whose patients included Pearl Harbor survivors. His father, the town’s multitasking doctor, had delivered many of Phil’s classmates, then continued to treat them into adulthood. Occasionally, Phil would meet farmers who, having run afoul of their machinery, bore the spidery tracks of his father’s surgical handiwork. Phil was 18 when he came home one day and knew from the look on his younger sister’s face that something terrible had happened. He guessed, correctly, that his grandfather had died. But so, too, had his father, both men killed when a careless driver plowed into their car at an unmarked country intersection. Some people will tell you the town never really got over it. Others say neither did Phil. He’d always been fascinated with writing, and, after a few years as a businessman, began building a career crafting sinewy poems and earthy short stories inspired by the people and places of his Southern Illinois childhood. My favorite story of his is called “Arcola Girls” — Arcola being a real-life town near Tuscola, and the girls being more intriguing than those back home, at least in the eyes of the story’s young narrator, who lands a tenuous first date that involves recruiting a mobile-home clairvoyant to oversee a woodland séance. That tale, redolent of the fitful mysteries of small-town adolescence, won the annual O. Henry Award in 1986. Silent Retreats, the collection in which the story appeared, won the Flannery O’Connor Award for Short Fiction. Partly on the strength of those awards, Rollins hired Phil to teach fiction writing in its English Department. I say partly because in Phil, authenticity overshadowed acclaim. He took himself lightly and his trade seriously. He was a selfless champion of great writing, worshipping bestselling writers of his generation such as Ann Beattie — an admiration she returned — while equally and wholeheartedly celebrating his students’ successes. Over the years, he would marry a Rollins adjunct professor, Susan Lilley, now poet laureate of the City of Orlando and a teacher at Trinity Preparatory School. 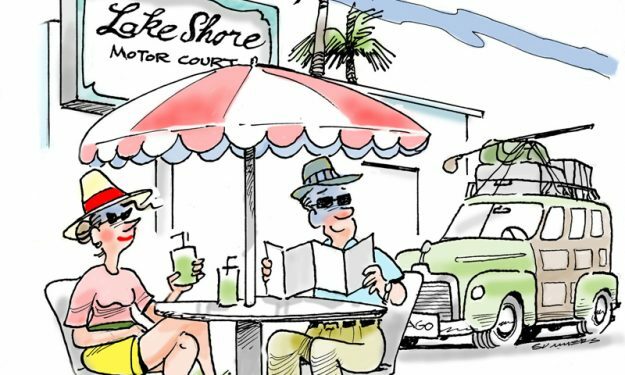 They became a literary power couple, attracting a community of Central Florida writers into their orbit. Then, just as he was on the brink of publishing an ambitious book of interlocking short stories, Phil began to change. He’d always been a faithful correspondent. Now friends and family stopped hearing from him. He’d always been enthusiastic and outgoing with colleagues and students. Now there was a certain vacancy in his greeting. And his classes, once inspiring, became listless and disorganized. Finally came a diagnosis: Phil suffered from a form of frontotemporal dementia — a fatal disease that disrupts the part of the brain that engenders language and social skills. It develops earlier in life and progresses much more rapidly than Alzheimer’s. By the time he died on April 29 at the age of 71, Phil could no longer speak. There were two mid-May memorial services. One was in Tuscola, where he was buried next to his parents. The other, at Knowles Memorial Chapel on the Rollins campus, was as unassumingly eloquent as the man it honored. Retired Rollins English Professor Lezlie Laws, an advocate for Phil on the search committee that hired him, spoke of becoming so enthused upon reading his stories for the first time that she threw the book aside and, much to her husband’s amazement, started jumping up and down on the bed. 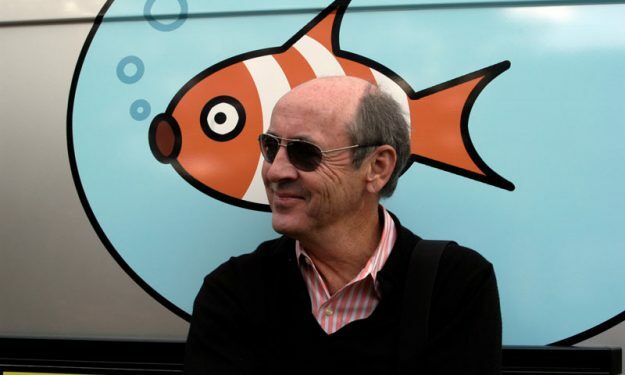 Poet Billy Collins, senior distinguished fellow at the college’s Winter Park Institute, read a poem Phil had written called “Flying.” It describes a recurring childhood dream of magically soaring over his home, looking down at his town and his family on a Midwestern summer’s day. Phil’s son, Michael, a recruiting specialist with Orange County, described his father’s final days. He spoke of how he and his sister, Laura, a Rollins graduate with a degree in counseling, had sat on either side of their father’s bed, holding his hands, as the renowned wordsmith — wearing his favorite St. Louis Cardinals jersey — made a final, silent retreat. One of my favorite movies is Mr. Blandings Builds his Dream House (1948) with Cary Grant and Myrna Loy. In it, hapless New Yorkers Jim and Muriel Blandings decide to have a custom home designed and built in rural Connecticut. The project, of course, quickly goes awry. Nothing is completed when promised. Everything costs more than anticipated. Naysayers taunt Jim and Muriel for their naiveté, while financial ruin looms and a variety of lawsuits are threatened. Did I mention that Mr. Blandings is a comedy? In social media circles, a handful of Winter Parkers seem to think that the city’s experience thus far with the soon-to-be-built library and events center — known heretofore as the Canopy — is worthy of a modern-day remake. Only this time, tax dollars, not Jim Blandings’ life savings, are at stake. Most of the complaints, however, have been from people who opposed the project in the first place. Some fringe theories even suggest vast conspiracies in which shadowy cabals of academic and commercial interests have somehow secretly joined forces to grab land and enrich developers. So it goes, sometimes, in Winter Park. After all, the original $30 million bond issue was approved by only the narrowest of margins — and has subsequently been challenged in court by dogged opponents who refuse to accept the result. The city, then, must work even more diligently to get it right — and to deliver essentially what was promised. Having said that, I’m more excited than ever about the state-of-the-art campus to be built in Martin Luther King Jr. Park. Its centerpiece will be an aspirational, inspirational library for the 21st century. Yes, it appears likely that the library will be closer to 36,000 square feet than the 50,000 square feet originally touted (the events center will be a separate structure). That’s not an insignificant alteration. And the proposed parking structure appears to have vanished — or at least been put aside. But 36,000 smartly designed square feet will provide plenty of customer-friendly space to house robust print and digital book collections, a technology classroom, an audio recording room, tutoring and meeting rooms, a climate-controlled historical archive, expanded youth spaces and a “genius lab” (comparable to a maker space, complete with high-tech tools). Adding a stepped auditorium, an outdoor amphitheater, a porte-cochere and a rooftop venue to the events center will take another $6 million or $7 million, much of which must come from private fundraising. Yes, the city could have saved money by hiring a local architect —there are excellent ones — instead of Sir David Adjaye, the much-honored celebrity architect who designed the National Museum of African American History and Culture in Washington, D.C. But with Adjaye, you get someone who not only has experience with libraries and high-profile public buildings. You also get one of the greatest architects in the world — a figure whose involvement ensures that the Canopy will instantly be regarded as an internationally important project. And it’ll be right here, where it belongs, in a small city known the world over for the unrivaled excellence of its educational and cultural amenities. A project of this significance and complexity will evolve during the design process. And it should, as new realities present themselves and are dealt with — or as great ideas emerge and are incorporated. I’m not relitigating the bond issue vote here; it’s a done deal. I’m saying that it’s time for everyone — friend and foe — to pull together and make certain that the Canopy will, in fact, be the community treasure that it ought to be. With this project comes an extraordinary opportunity that ought not to be hindered by erroneous assumptions, hurt feelings, sheer stubbornness or conspiracy theories. Ask questions? Sure. Demand explanations? Absolutely. Offer input? Of course. Community involvement is a key to success. Let me be clear. By no means am I saying that decisions regarding civic projects should be made based upon emotion, not logic. For the Canopy, though, the logic is already firmly established and in place. It’s time to bring our hearts — and our ideas — to the table. Tomás Saraceno’s Cloud Cities — Nebulous Thresholds (above left) and Julie Heffernan’s Camp Bedlam (above right) are ideal examples of art that has a backstory. My girlfriend — OK, she’s not really my girlfriend. She’s my consort. That’s the term we chose for each other as being suitably upscale, vaguely romantic, and — let’s face it —more age-appropriate. Anyway, my consort is fluent about the visual arts. When we’re at galleries and exhibits, she speaks eloquently of brushstrokes and color schemes. I respond with submissive posturing and soft-pallet vocalizations akin to footage you might encounter in a Jane Goodall documentary. I like art. I just don’t know how to talk about it. If I sit down at my desk and mull for a bit, I can come up with something. Otherwise all I’ve got is a drop-down menu with a choice of three boxes: nice, meh and um. I’m in my element, on the other hand, when I encounter an interesting backstory, such as the inspiration for the artwork or the evolution of the artist. Take the recent installation of web-like tendrils encased in translucent, multicolored forms, which hovers overhead in the glass-domed atrium of Winter Park’s Alfond Inn, owned by Rollins College. It’s called Cloud Cities – Nebulous Thresholds. Better still, the piece has a tale to tell. Its Argentinian-born, German-based creator, Tomás Saraceno, is a blue-sky thinker, literally and figuratively. He’s obsessed with spider webs, astrophysics and ecology — suggesting a link among them in his art. Elsewhere, he has devised filmy, gravity-defying sculptures, suspended by infrared radiation and the heat of the sun — creations that bespeak his dream that someday, people will live harmoniously in international communities floating high above the earth. It’s a testament to the turmoil of our times that much of contemporary art is preoccupied, as Saraceno’s is, with social, environmental and humanitarian causes. That trend is reflected, for example, by the artist whose work graces the cover of this magazine. Likewise, it’s reflected throughout the Alfond’s hotel-wide collection, which is culled from the college’s Cornell Fine Arts Museum and its Alfond Collection of Contemporary Art. You’ll see that same socially conscious sensibility in exhibits that have sprung up with increasing regularity at most Central Florida art museums and galleries over the past several years. Julie Heffernan’s cautionary dreamscapes, on display at the Mennello Museum of American Art through June 10, are among the most arresting. Heffernan, who grew up in California and now lives in New York City, visually imagines a future in which people struggle to escape a detritus-strewn flood by inhabiting luminously rendered trees — the final refuge of a natural world too long abused. In some ways, Heffernan is a throwback: Her cautionary and overtly symbolic tableaus are often compared to the creations of Hieronymous Bosch, the 16th century fire-and-brimstone Dutch moralist whose paintings spill over with half-naked figures in the midst of either having way too much fun or being posthumously punished for it. Heffernan calls her works “self-portraits,” painting herself into the middle of the post-apocalyptic scrum, crediting “all of the stuff that hit my eyeballs” over the course of her life as inspiration. That includes the vividly painted holy cards of martyred saints she remembers from her Catholic grade school days — she remembers staring at them and imagining them coming to life — as well as a spooky, rambling, unfinished Victorian mansion that left indelible ripples on her imagination. As a kid growing up in Marin County, Heffernan’s parents would take her and her siblings to a tourist attraction called Winchester Mystery House in San Jose. Many years later, while studying art on a Fulbright scholarship, Heffernan found herself in a haunted maze of another sort: Berlin in the 1980s. The wall between the east and west sectors still stood. Spies and former Nazis were everywhere. When the landlord of the cold-water hinterhof flat she shared with her boyfriend found out he was Jewish, he came close to evicting them. It was in Berlin where Heffernan developed the labyrinthian oeuvre that she now uses to address climate change. Like Saraceno’s, her creations suggest we can rise above it all — both artists having invented visual cues that can be deciphered and understood, assuming we take the time. You can see what I mean about backstories.